Intelligence should be important for Italy, but that depends on the attitude of Italian leaders, but I think we are too dumb to be able to use it I am afraid ????? I think France will reject Huawei. Also 50-50 chance Germany will reject it. U.S. will absolutely cut off intelligence to any country taking Huawei: General Dunford, Chief of Joint Chiefs of Staff, emphasized this point again yesterday. 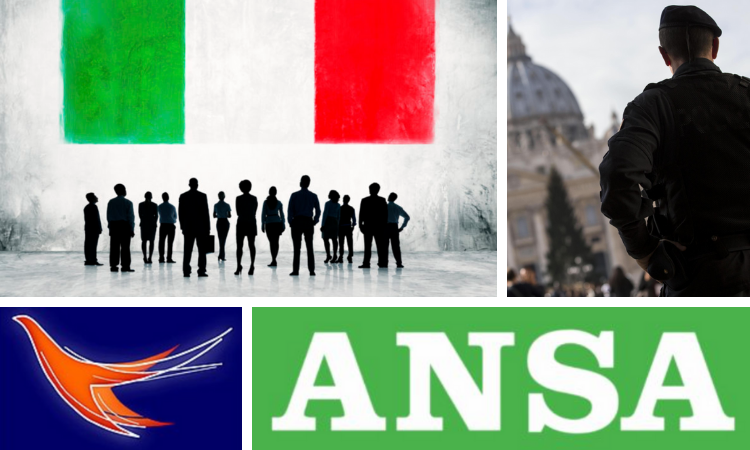 Intelligence should be important for Italy, but that depends on the attitude of the Italian leaders. If they are all panda huggers then maybe they don’t think the intelligence is important. In any case, the French certainly think it is important. I believe the German military and intelligence services also think it is important. But, of course, among politicians there is a wide range. The British military and MI-6 and MI-5 think it is of the utmost importance, but they may not have the big influence in the UK that they have had in the past. I still am not convinced that the UK will go with Huawei but it might. The Aussies think it is very important and have already declared against Huahei. I think the Canadians will do the same in the wake of this mess they’ve had over Mrs Meng. There is a very wide range of intelligence. Of course, the U.S. is intercepting conversations, other messages of all kinds by many different parties and leaders all over the world. Certainly the Russians, but also the Chinese, the Saudis, the Turks, the Iranians, all the Africans, etc. But there is also financial intelligence, smuggling intelligence, emigration intelligence, commodities intelligence, intelligence on technology and on specific companies. As an official in the US administration you learn to be very quiet, because you realize from weekly intelligence briefing that the walls literally have ears. The thing US officials miss most about not being in government is not having access to the intelligence. Remember that the NSA was listening to Angela Merkel’s cell phone. If the Italian government doesn’t want a share of U.S. intelligence, one can only conclude that the Italian government is a complete idiot.